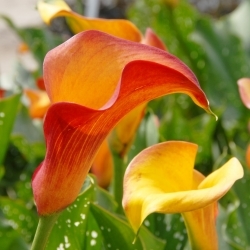 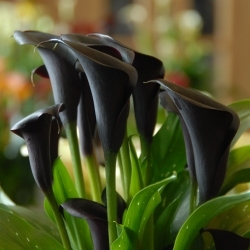 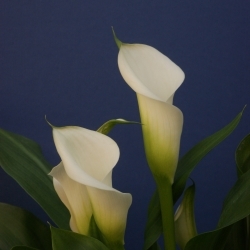 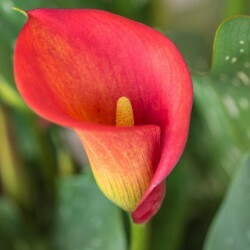 Calla, Arum-lily. 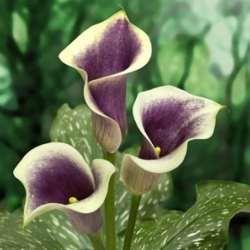 An increasingly popular pot plant, both on the terrace and in the windowsill. 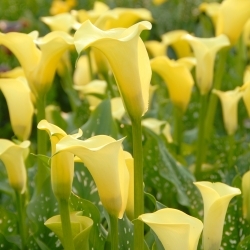 For the longest possible bloom throughout the summer, regular fertilising in the flowering season is important. 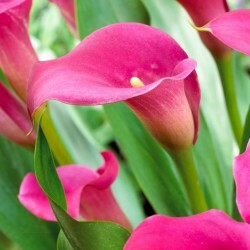 Hardiness zone 8-9.